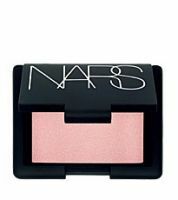 Nars makes some of my favorite shadows. Some times I love it more than UD. They're so rich and pigmented. They come in gorgeous colors that are true and extremely high quality. I LOVE this shadow!